The Legend of Toothpick. 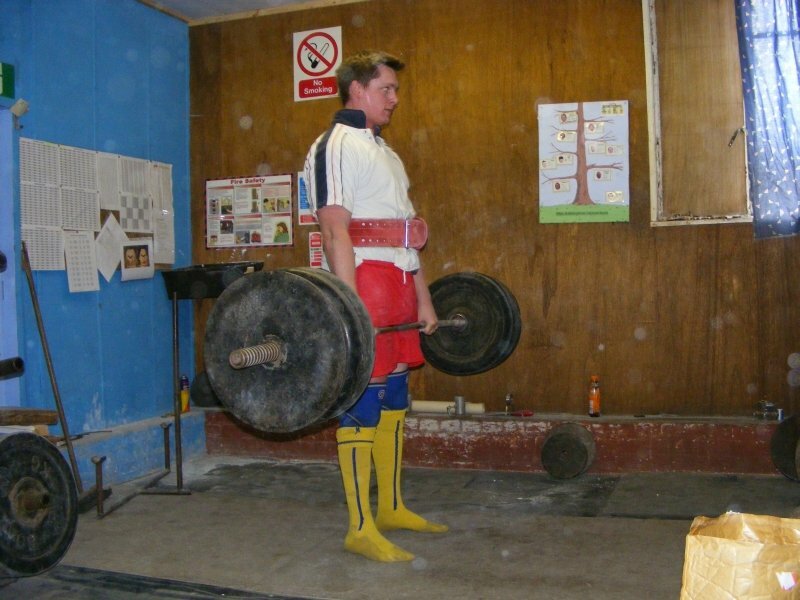 Sugden Barbell. If I told you I'm afraid I would have to kill you. I picked them up from a British BodyBuilding Champion, who had 20" guns at 12 stone and 4.5% BF. Apparently Westside are considering adding them as a primary bench assistance movement, possibly with bands to help concentrate on explosiveness. I've heard they're the bicep equivilant of tricep kick backs, only not as effective for adding mass. I've heard they're the bicep equivilant of tricep kick backs. Seems fine mate, had over two weeks rest and plenty of foam rolling (mostly on a small basketball!). Hopefully it'll be alright now but the test will be when the squats get a bit heavier. Squatted 400 yet? everyone please note the absence of deadlift slippers. edit: and the excellent adlington squat tree, what i drew, i did. That picture is like a colourblindness test. Edit: I think Rob's failed . Cool photo! Rick, come on mate, the shorts and belt were matching at least!! Craig, I just like doing one of them heavier and one of them lighter on the same day, it's not a golden rule though. Dug out an old exercise bike at the Grandparents, it still works but it\'s not overly comfortable. Might join the little local gym soon just for the jacuzzi, pool and cardio stuff there. Appearing at a local gallery soon? A thing of beauty !! a work of art that i had a hand in.